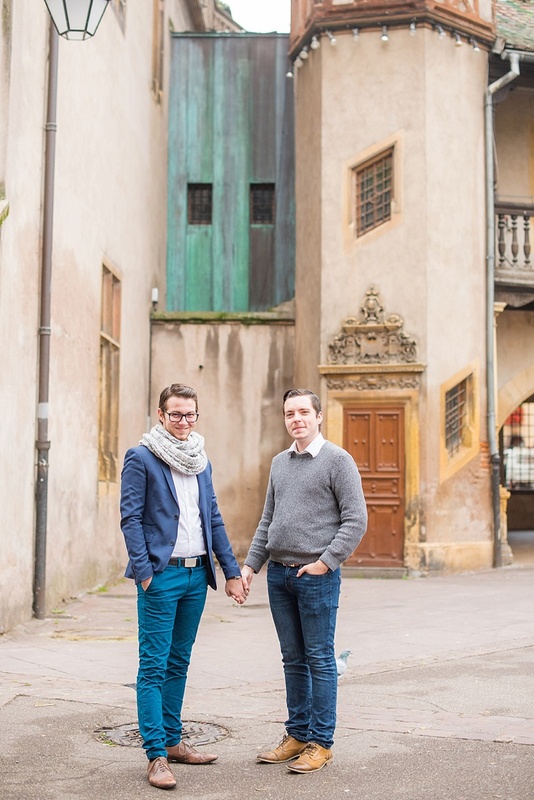 Hand in hand, these two lovebirds share special memories in the Alsace region made for fairytale romances. 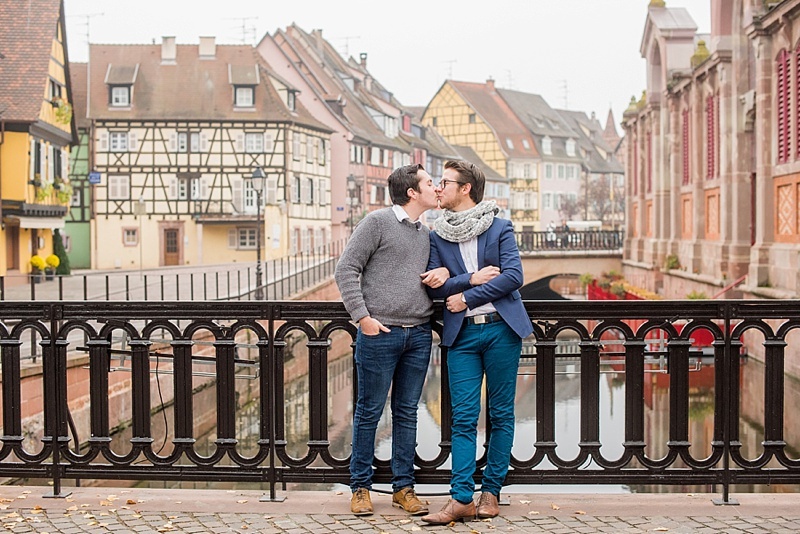 e all grow up hearing fanciful stories and idyllic fairy tales from our diverse cultures, and for those of us who grew up listening to European-based narratives, when you look upon the town of Colmar in eastern France, it is as if you have stepped into a storybook yourself just like Max and Cedric did for their enchanting destination portrait session with Mikkel Paige in the Alsace region. 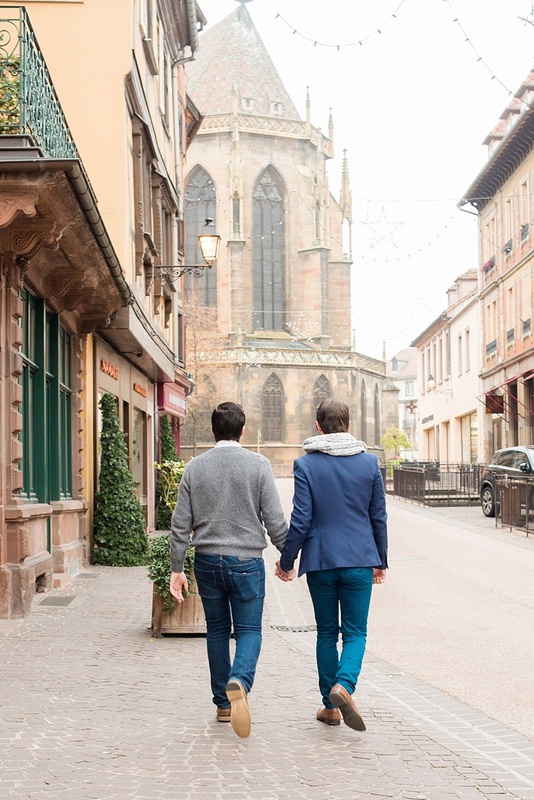 Along the German border, this French town's architecture speaks of Gothic and Renaissance influence that transports you into Once Upon a Time. 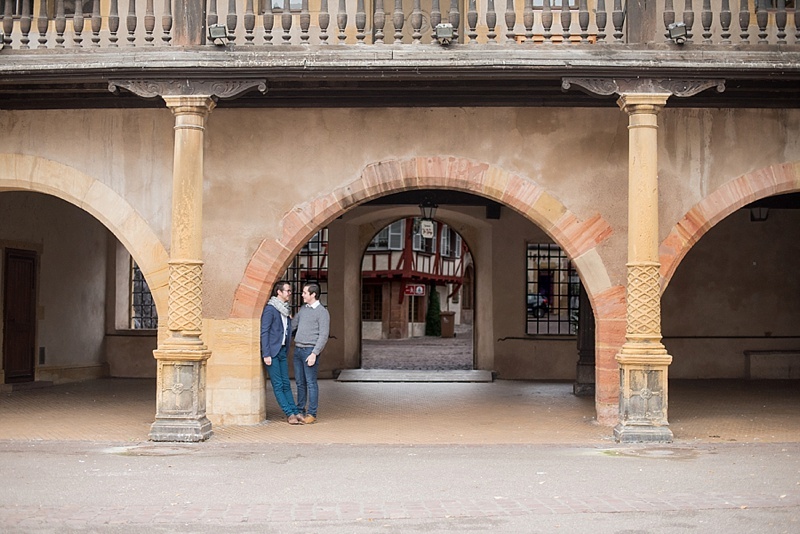 From cobblestone streets to timbered exteriors to trompe l'oeil painted façades, the capital of the Alsacian wines has all the right ingredients for a romantic stroll through history with a touch of magic and a whole lot of charm. Anyone with an eye for art would be instantly smitten with the painterly vignettes all throughout their streets and canals. (For you Disney's Beauty and the Beast fans researching this place online, one of their fountain areas looks just like when Belle reads to the sheep! 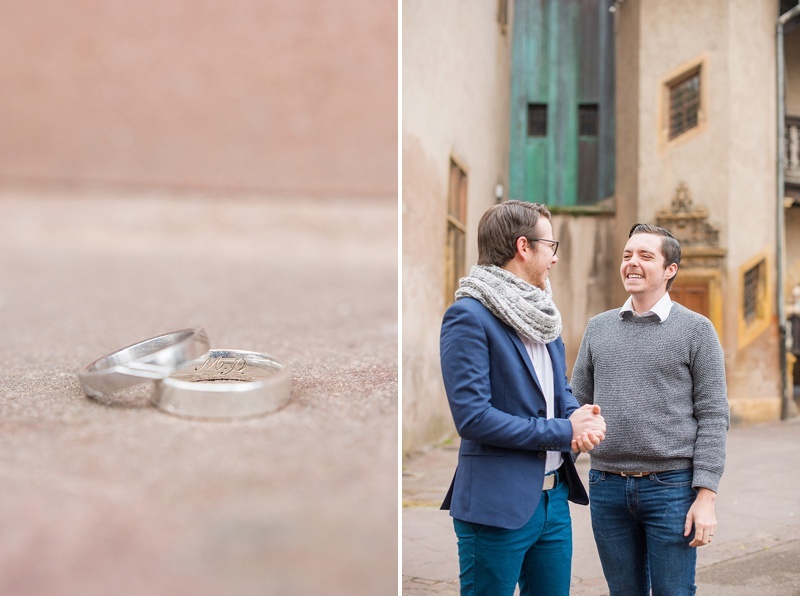 Swoon!). 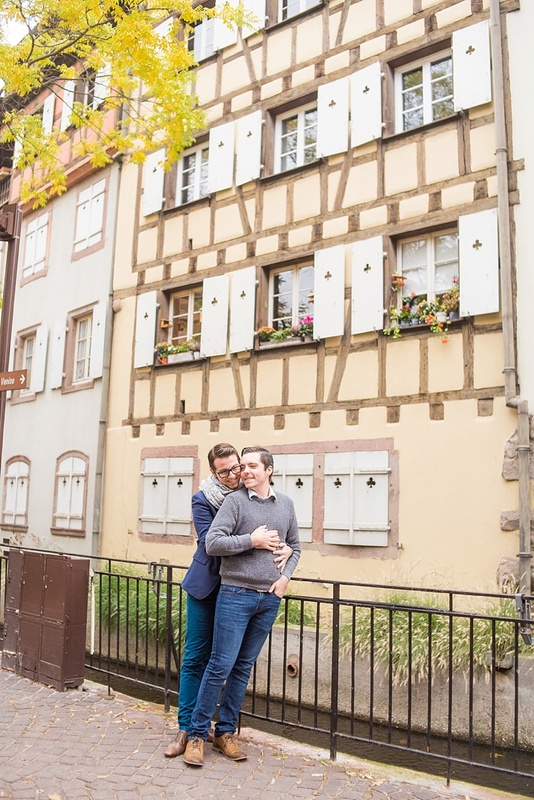 With Cedric's being from France and Max from Canada, their memories from Colmar's historic center area celebrated their relationship while adding to their happily ever after adventure together. And that's one tale we can never get enough of.